Small size electric BLDC motor with rated speed of 11750 rpm and noload speed up to 15000 high rpm, 3 phase, 4 pole, 37W rated power. It can be custom designed to operate with 12 volt, 24 volt or higher voltage. 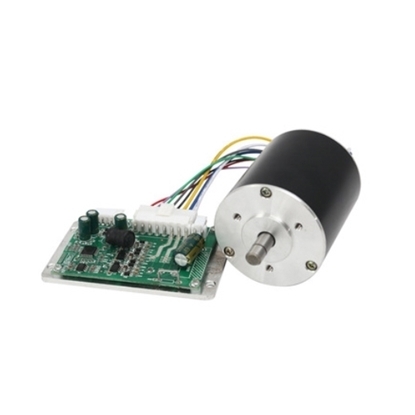 Three phase 24 volt small brushless motor with high speed up to 9000 rpm, 105W power, 4 pole, permanent magnets which rotate within a fixed armature, the compact BLDC micromotor features a brushless commutation design for long lasting performance. 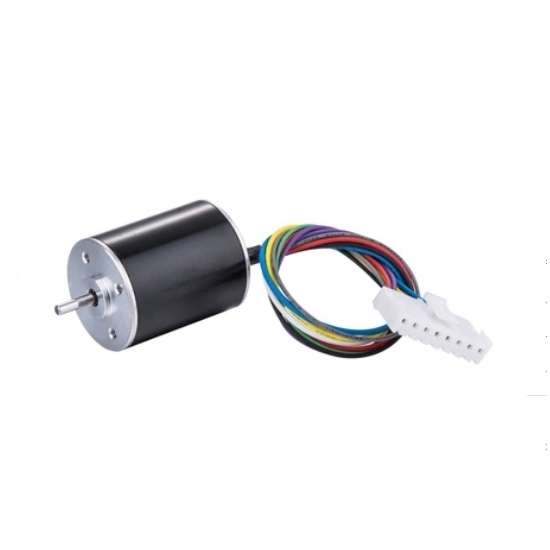 15000 rpm high speed brushless dc motor with 12V/24V DC operating voltage, provides 23.4 mN.m torque and more reliable, ultra compact in size, high dynamic response, suitable for electronic equipment or household appliances. DC brushless motor has three control methods, namely position sensor control, sensor-less control and intelligent control. Position sensor control detects the rotor position and controls the commutation of stator winding by installing position sensors on the DC brushless motor. The position sensors applied include electromagnetic type (such as reluctance resolver), photoelectric type (such as light screen) and magnetic type (such as hall sensor). Among them, hall sensor is the most widely applied. Sensor-less control doesn't detect the rotor position by directly installing position sensors on the DC brushless motor. Generally, it detects the rotor position through direct back EMF detection method, back EMF three harmonic method, current path monitoring method, open-circuit phase voltage detection method, phase inductance method and back EMF logic level integration comparison method. Intelligent control system has the functions of self-learning, self-adapting and self-organizing, it can solve the problem of model uncertainty, nonlinear control and other complicated problems. At present, many mature intelligent control methods have been applied to the control of Brushless DC motor, such as the Fuzzy-PID control combined by fuzzy control and PID control, compound control based on fuzzy control and neural network, fuzzy control of membership parameters optimized by genetic algorithm, mononeuron adaptive control.